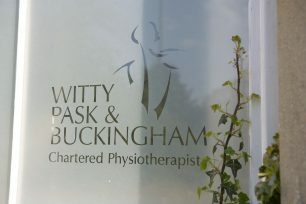 Paul Witty established the practice in Barrack Road during 1983. The practice then moved to the basement at 56 Billing Road and Paul was joined by Phil Pask in 1992. 56 Billing Road has been used for medical consultations for 25 years. Paul retired in 1999 with Mark Buckingham becoming a partner. The building was purchased and the practice moved upstairs and expanded in 2001. The last decade has seen steady development from 4 physios to now 14. We are not all full time but we see in the region of 300 patients a week. 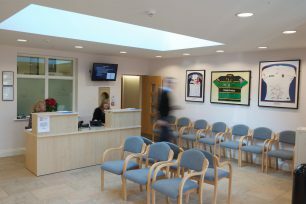 The practice has always had very strong relationships with the Orthopaedic and Rheumatological services and Consultants in Northampton and the surrounding region. With our close association with elite sport over many years we have seen and helped to develop multidisciplinary services at places like Loughborough High Performance Centre for Athletics and within England Rugby. Knowing how much benefit can be derived from such integrated practice we have long held the ambition with Consultants such as Professor Bill Ribbans and Mr David Stock to develop a clinic in Northampton where we can all work together. In 2009 57 Billing Road became available and it was too good an opportunity to pass up. Bill and David bought 57 and we worked together to create a clinic that we and the town can be proud of. 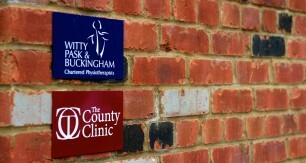 The result is the combination of Witty Pask and Buckingham and The County Clinic.